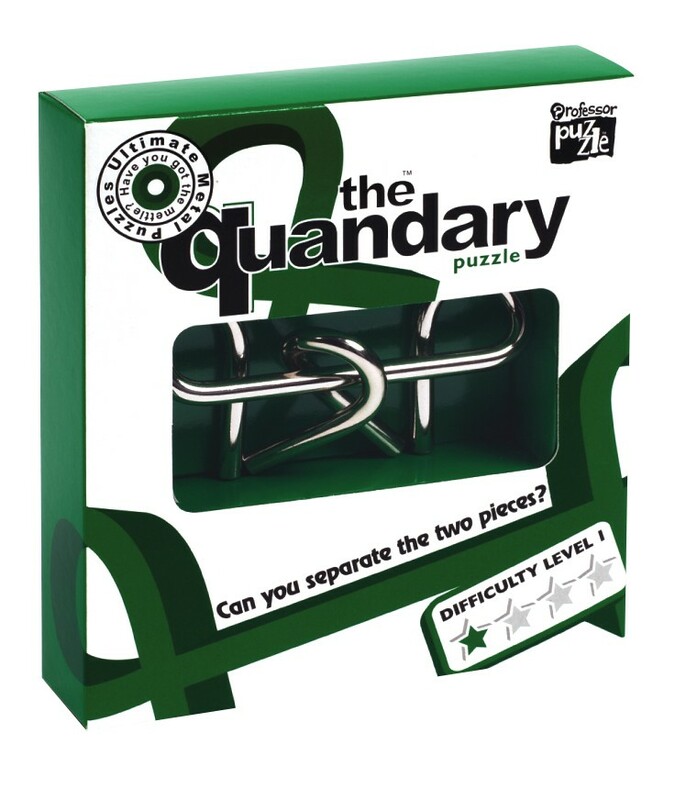 The Quandary is a classic puzzle. It really is very simple in principle, requiring two movements to set the small piece free. Both movements are distinct from each other, and finding one does not really help you in finding the next. 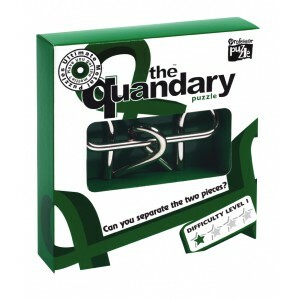 So although it should be simple, we have never seen anyone work this puzzle out quickly. It takes patience and a bright mind to understand this puzzle. ‘But it’s a level 1!’ we hear you say. That it may be, but we would not recommend you passing this test to your average Joe. Those who think that frantic wiggling of the pieces holds their best hopes for success are likely to be defeated quickly by this understated little troublemaker. 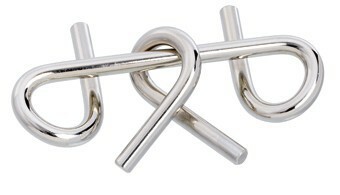 FANTASTIC FRIDAY - FREE WITH ANY ORDER PLACED TODAY!